When you are going through a difficult time, either because of family, custody or marital problems, it is important to choose the right attorney. Families dynamics are complex, and the problems that arise from these situations require delicate handling. You have already come to the realization that your relationship is over. You might feel as though you are walking around in a daze. You made a mistake and now you need help fixing problems of the past. You know your mistakes will come at a cost. What will the cost be? Multiple questions are probably swirling around in your brain. What is going to happen to the children? Will they be psychologically damaged by the breakup? When will I be able to visit with them? Will the children have to change schools? 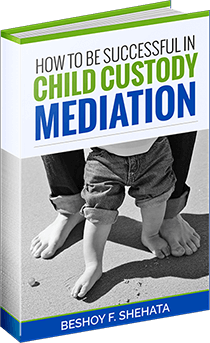 What happens if the custody orders don’t work? Can we make a new arrangement if the old one is broken? How will I support our children? Will there be enough money left over to pay for our children’s college? How much will my lifestyle have to change? Who is going to have to pay for the attorney? When dealing with custody, support or divorce issues, It is easy to get caught up in the moment and fail to plan for the long term. Most people feel like they are walking around in a fog after a difficult break up. It is imperative you find the right people to help. Someone who is experienced in these matters. Someone who can guide you and place your needs Nothing is more important to you than your family. Do not leave your future and your family’s future to chance. All may feel hopeless at the moment, but there is a light at the end of the tunnel. Our expert legal team has the experience and compassion to help you find your way out of the darkness and confusion. You and your family are unique. So are your problems. When you walk into our office for the first time, you will have your own unique list of questions. We take the time to get to know you as a person, and then we listen to your concerns. Our experienced legal team will go through each of your questions, and, one by one, make sure they are all answered. 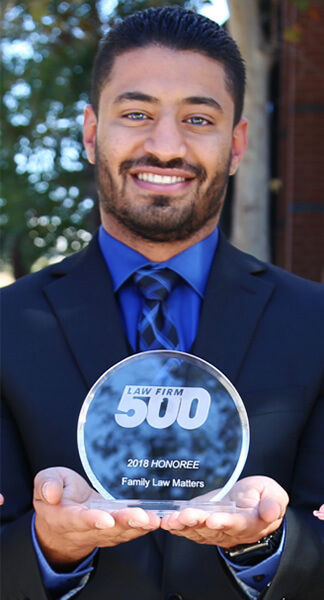 We believe our most important job is to take the time to understand your goals, because having an attorney that is aligned with your goals will ensure the best possible outcome for your future. It is only by understanding your needs that we will be able to help you. Our legal team is the best in the business, but what sets them apart is their compassion and ability to bring you hope. After many years of experience, we know how important it is to fully outline the family law process to you. This allows you to understand what is happening in your case- and why. By empowering you with knowledge, you can be involved in the decision making process. Afterall, this is your life. The problems you are dealing with are yours. They involve you, your loved ones and your future. Who is better suited to have make decisions about the outcome of your family law, custody, support or divorce case? When you have information, you will be able to partner with your legal team in order to make make decisions about tactics, strategy, settlement and negotiations. We will methodically outline the issues at hand and then walk you through your options so that you have the proper tools to craft your own future. With proper information comes reasonable expectations. Your personal struggles will come at a cost, but this, too, shall pass. Whether your family law case requires a soft approach outside of court or the heavy hand of litigation, our experienced legal team will be by your side. Call our office if you are in need of caring, compassionate, help. Ending a relationship is always a difficult decision. It is usually coupled with pain and confusion. When it is over, a new future appears. In California, there are three ways to end a marital relationship. They include divorce, legal separation and annulment. If you have questions about how to end your marital relationship, please call us for a consultation. Divorce is the most common method of ending a marriage. This is the process of shedding the label “married” and making the person “single.” Divorce requires the filing of legal documents in court, but the process can be completed without actually having to ever appear in court. An experienced divorce lawyer will explore both options with you to determine which approach is right for you. Either way, at the end of the process, you will receive a judgment that will contain orders concerning your children, support, and property, and you will be free to remarry. Family Law Matters provides a unique alternative to a traditional divorce, with a divorce workshop entitled “Divorce in a Day.” The five hour mediation program is designed for couples with an open mind, have simple divorces with limited assets, and want to accelerate the process. Our low-cost, Friday workshops are by appointment only. They enlist the help of our experienced staff, including multiple attorneys and paralegals, who walk you through the divorce process. In a single day, our office prepares all the paperwork associated with your divorce, mediates the terms of your divorce, prepares your divorce judgment and files it with the court. If you are interested in this unique opportunity, call our office for more information. Most people who file for legal separation desire to end the relationship but need to remain married to their spouse for whatever reason. Legal separation is similar to divorce, but it will not make you a single person. It, too, requires the filing of legal documents in court. It also results in a final judgment which includes orders concerning your child, support, and property. At the end of the court case, though, you will not be free to remarry because a legal separation does not end the marriage. After the annulment process, both parties may remarry. An annulment does not end the marriage- it wipes it out as though it never happened. This is only done in a very narrow set of circumstances, where, for whatever reason, the marriage was not legal. If you have questions on this topic, call our office for more information. God has given you the wonderful gift of children. Your goal is to resolve your adult issues without having to involve them any more than necessary. The first step in protecting your children begins with understanding that you and your spouse will likely have to work together for many years to come. Child Custody- Where will the children live? Child Visitation- When will the children see each parent? Child Support- How much money is needed to support the children? Day Care- Who pays the cost for the parents to be able to work? Medical Expenses- Who pays for the children if they go to the doctor? Health Insurance- Who pays the children’s insurance premiums? Collection of Child Support- How will the money be paid? Paternity- What if the parents were never married? Birth Certificate- What if both parents are not listed on the birth certificate? Name Change- What if the child’s last name is not listed as Dad’s? Modification- What if the custody or support orders aren’t working? Our experienced attorneys have handled countless cases like yours and have the ability to navigate through the maze of legal issues associated with having children. Call our office if you have a legal problem involving children. Spousal support is frequently ordered during a divorce or legal separation case. This is when one spouse must pay monthly support to the other spouse for the purpose of helping the supported spouse get on his or her feet financially. Spousal support is not a right and is not ordered in all cases. The traditional situation would be one spouse who works while the other spouse stays home to take care of the children. There is no hard and fast rule governing how much support one spouse should receive or for how long spousal support should be paid. Spousal support is a complex legal issue. If you believe you will be required to pay support or are entitled to receive spouse support, your specific fact pattern will require a detailed legal analysis. If you have questions about spousal support, call our office for more information and we will be happy to schedule you a consultation. You worked all your life for what you have. Now, all that hard work is about to be wiped away. If you were married and are now ending the relationship, everything you worked for and all debt you accumulated must be divided. California law has clear guidelines as to how this is accomplished. Evenso, it must be done fairly and expertly so that you are not buried in debt for the rest of your life. You also deserve to reap the benefits of all the assets you acquired during your marriage. When you are at risk of harm from another person or are being terrorized or harassed, you need protection. In California, there are two ways to ensure your safety. This can be accomplished through a Domestic Violence Restraining Order or a Civil Harassment Restraining Order. If you have questions about any types of restraining orders, our experienced and capable attorneys can help. Please call us for a consultation. When one of the above relationships occur, the type of restraining order sought is a Domestic Violence Restraining Order, which is obtained in Family Court. When non-parents raise the child of another person, a legal relationship must be established to protect the child and to establish rights for the caregiver. This can be done through a guardianship or an adoption. If you have questions about whether you need to file for guardianship or adoption of a child, please call our office for a consultation. Guardianships establish a temporary relationship between a non-parent and a child. This relationship gives the guardian the power to care for the child in the absence of the parent. However, the parent-child relationship remains intact and the legal relationship ends once the child becomes and adult. An adoption establishes a permanent relationship between the non-parent and the child. The biological parent no longer has any rights to the child and is no longer recognized as the parent of the child. The adopting parent becomes the permanent parent of the child and the parent-child relationship, once established, continues forever. Sometimes, clients discover the hard way how important it is to hire the right attorney. Perhaps they started out without an attorney or hired an attorney who did not promise what they delivered. Family Law Matters is frequently the attorney of last resort. 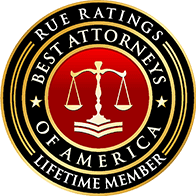 Our exceptional representation in both simple and complex cases has earned us the reputation of lawyers able to handle anything. Our clients frequently hire us to clean up the mess of other lawyers because they know we deliver the best outcome available, no matter how difficult the situation. If you are in the middle of your case- or even at the very end- and you need more help than you are currently getting, call our office for a consultation. Whether you are struggling with a custody matter, a divorce, division of property, or support, we look forward to helping you obtain a positive resolution of your family law problem.